"Bringing fashion immediately from catwalk to checkout marks a new era for the fashion industry and we value the direct communication we can have with customers through a ‘see now, buy now’ collection. 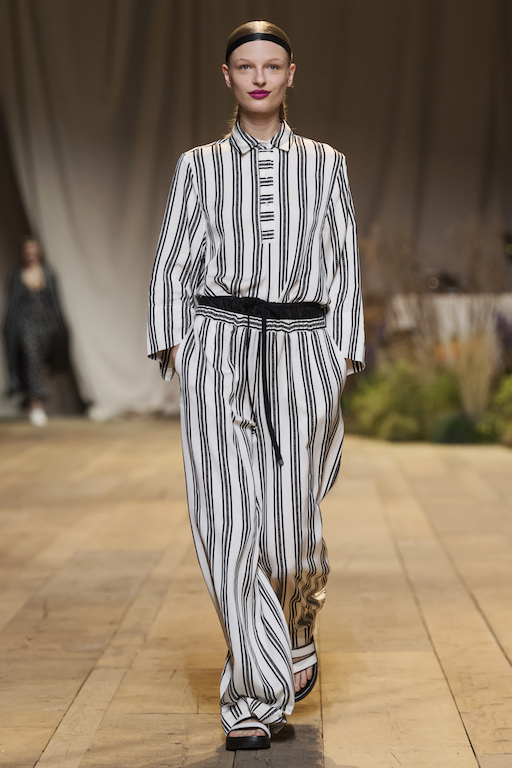 Anything that brings us closer to our customers and makes fashion even more accessible is very positive,” says Pernilla Wohlfahrt, H&M’s Head of Design and Creative Director. For the show, the vast, concrete expanse of the iconic Tennis Club de Paris was transformed into a warm, inviting space broadcasting messages of love and togetherness. Guests such as Nicki Minaj, Alexa Chung, Lucky Blue Smith, Clémence Poésy and Sasha Lane were in attendance, soaking up the atmosphere. 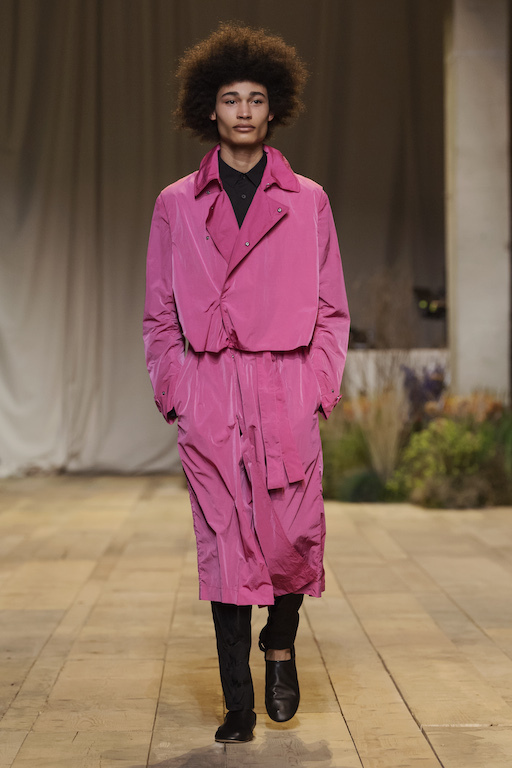 On the catwalk, which featured a stellar cast of models including Gigi and Bella Hadid, Adwoa Aboah, Amber Valletta, Jordan Barrett and Luis Borges, a balance between tailoring and sportswear was struck – clean-cut wool garments worn with fine knits, voluminous silk and translucent nylon, while ruffles and jolts of bright pink were set against monochrome anoraks and reworked trekking sandals. 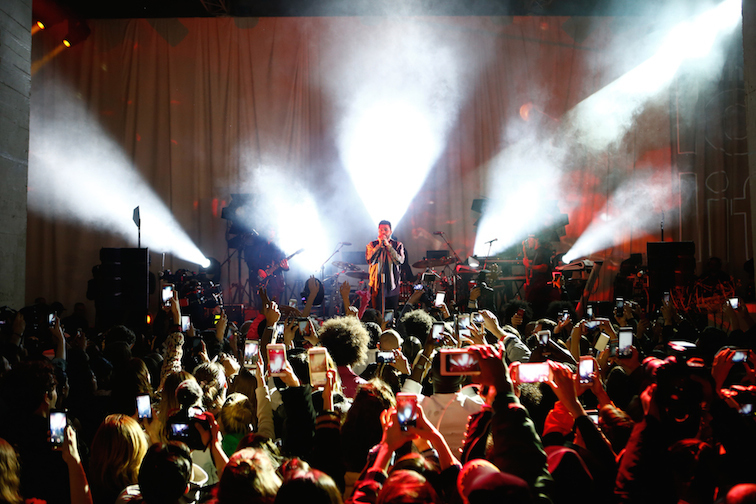 Following the show, the over 800 guests in attendance – along with a global audience watching live at studio.hm.com and via VR on H&M’s YouTube channel – were all treated to an electrifying performance by the chart-topping singer/songwriter The Weeknd, who played hits such as Starboy, Can’t Feel My Face and I Feel It Coming. 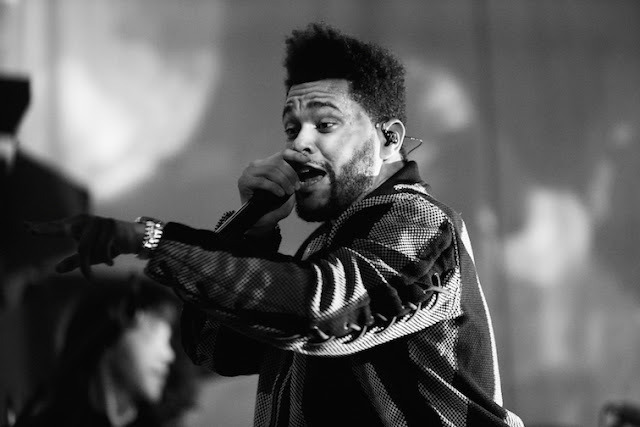 An interactive pop-up shop was also set up for at the Paris show, while customers around the world could shop the collection online at hm.com at the same time. The collection will also be available in around 180 selected stores from today. 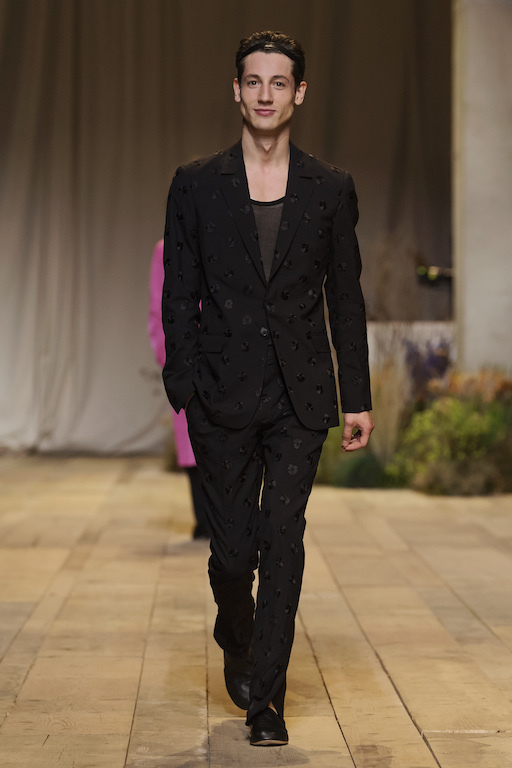 H&M Studio is the key seasonal collection from H&M, with its own dedicated design team.